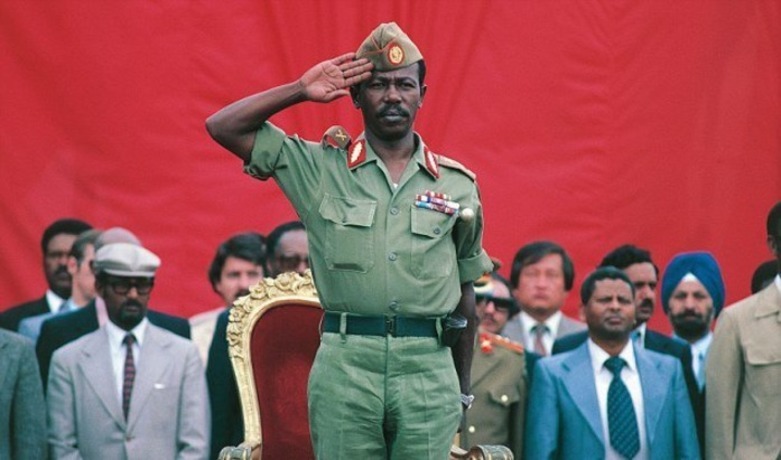 It was in 1978 the Provisional Military Administration known as the Derg declared what it called “red terror” in Ethiopia. What followed was hard to comprehend; it was a grotesque demonstration of inhumanity against fellow human beings. Streets were littered with bodies of young men and women with placards displayed on them reading “red terror.” For the survivors and their families this period is a particularly painful one, which they wish didn’t happen. Whatever the context, the use of the term “red,” especially coming from the government policy makers, has a chilling psychological and emotional effect on the people of Ethiopia. It brings back that dark period and pokes the terrible memories of those who endured so much under the official campaign of “red terror” (1978-1979). The declaration of a “state of emergency” by the Tigray People’s Liberation Front (TPLF) is a sad repeat of the “red terror” from which citizens are still trying to recover. The regime’s state of emergency, announced this month, has legitimated two things. The first one is that it formalized the regime’s implicit desire and behaviour of being a military dictatorship. The establishment of the so called “command post” is indisputable evidence that the country is effectively run by the senior military officers of a minority group that represents less than 6% of the country’s population. Secondly, it made it official that the slow motion mass murder the regime has been undertaking for the last 25 years could be carried out with full scale and coordinated order of the “command post” with much bigger causalities than the “red terror” of 1978-79. “Members of the diplomatic community are not allowed to venture outside 40 KM radius of the capital Addis Ababa with out a permission.” The argument the regime is making for restricting diplomats’ movement is “safety” of the diplomats. Does this mean all places outside forty km are considered part of a war zone? If they are, then the issue is not just the “safety” of members of the diplomatic community, but also the government doesn’t want diplomats to witness possible atrocities committed by forces loyal to the regime. Furthermore, the problem with restricting diplomats is that Article 26 of the 1961 Vienna Convention on Diplomatic Relations stipulates that “receiving State shall ensure to all members of the mission freedom of movement and travel in its territory.” Hence, the regime is in loggerheads with the Vienna Convention of 1961, and it could raise some serious problems under international law as it relates to the responsibility of the host nation. The second and most troubling part of the state of emergency is the power accorded to security guards and members of security forces. It says “to take measures on those who violated the 6:00PM- 6:00AM curfew around factories, large-scale farm sites and others. This in particular is disturbing as it is a reinstatement of “red terror” of 1978- 79 which gave “shoot to kill” authority to the so-called “revolutionary guard,” which comprises of militias and cadres of the military junta. After four decades later, the current regime is recalling the same brutal measures and strategies to brutalize innocent unarmed civilians. One of the great inventions of the 20th century is the advent of communication technology, particularly the internet. It eliminated geographic and economic barriers for accessing information. Anyone anywhere in the world have equal access to a bounty of information at his/her finger tips. Well, unless you live in Ethiopia. The regime has been periodically shutting the internet and phone communication, blaming social media for the popular uprising sweeping the country. Even the Prime Minister, Haile Mariam Desalegn, audaciously attempted to lecture the United Nations on how social media is fueling social discontent in Ethiopia. Soon after his speech before the international body, the regime completely blacked out access to the internet across the country except in the region of Tigray. In the 21st century, the internet and modern communication technology are part of the political, economic and social reality of life. “This is a regime for the stone age operating in the 21st century,” one young man retorted with anger. “What is this? Why are they doing this? No one should have the right to deny me access to information. No one!” he repeated. The popular uprising that has been going on for more than ten months is largely, but not exclusively, youth led with heavy participation of those under thirty. They have shown tremendous resilience and unwavering discipline in their organization and leadership capacity of the movement. They believe their energy, creativity and imagination will help them adjust to any challenges including the closure of the internet and social media. If anything, they say it will harden their resolve and commitment to continue their struggle until democracy, freedom and justice are achieved. The shutting of internet service and social media, and its impact on the general public, members of the diplomatic community and the expatriates, is a serious. The Internet is the key tool in the 21st century communication and work. The regime’s strategy of unplugging the country from the rest of the world is unprecedented, and it should be challenged by members of the international community. The regime is desperate, and it is taking desperate measures to see which one could prolong its hold on power. The truth is that neither a “state of emergency” nor the shutting of the internet can stop the public from demanding change, fundamental political, economic and transformative social change, including regime change. Often, under undemocratic regimes, states of emergency are not intended to provide safety and security for the general public. Instead, they are intended to stifle popular uprisings and extend the life of authoritarian rule. History tells us it never works. In the end, a state of emergency for dictators is the last gasp and that is what we are witnessing in Ethiopia.